NAO Robot Dancing ‘More Fun In The Philippines’ Tune! This video now goes viral on the internet! It shows the robot called NAO (pronounced now) dancing the song “It’s More Fun in the Philippines” by Apl.de.Ap. 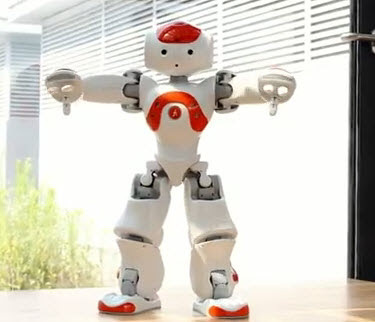 NAO is an autonomous, programmable humanoid robot developed by Aldebaran Robotics in Paris. GRNMNGO re-edited the said video. Cool!